Every good cook should have a few pots of them either on the patio, in the vegetable garden, or even growing indoors in a sunny kitchen window. These Herbs for Kitchen Gardens are ones that I use all the time. Identifying herbs can be a bit of challenge since many of them have leaves that look similar. Be sure to check out my handy herb identification chart. Many of these herbs are perennials, which means, that if you are in the right zones, they will come back year after year. Even in the colder climates, many perennial herbs can take the winter weather if you mulch around them. If your climate it too cold, just try growing herbs indoors. Annual herbs and some perennials herbs can be grown indoors all year round. 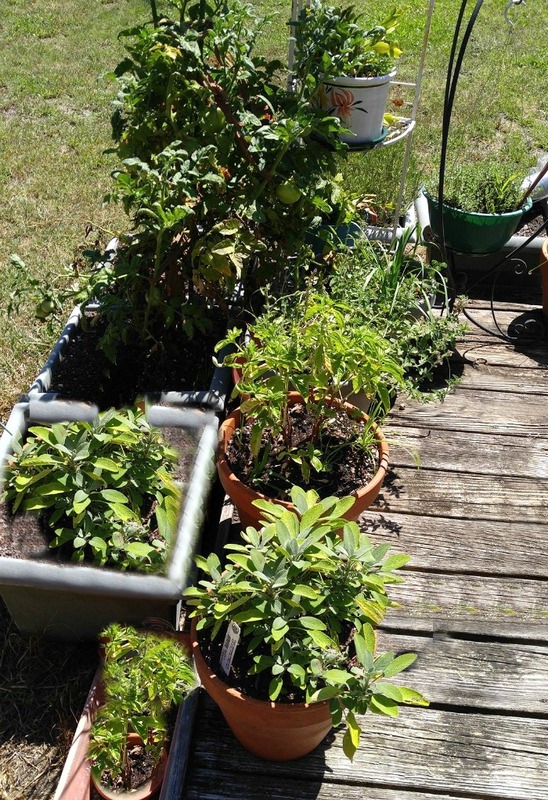 I have a large garden on my deck that has both herbs and vegetables growing. It’s easy to water, within reach of the kitchen and looks great on my patio too! I use the herbs all summer and then just leave them out during the winter. (some even grow then!) I am in zone 7b. If you don’t have the luxury of warm weather year round, all of these plants can be grown as indoor plants in a sunny window. When the summer comes to an end and frost is on the way, don’t despair. There are lots of ways to preserve fresh herbs to use during the winter months. 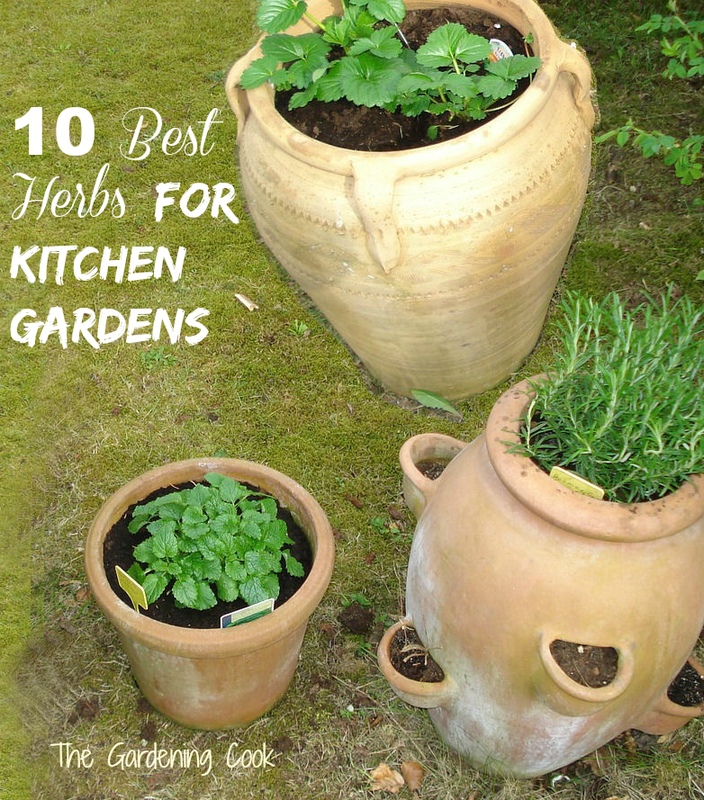 Here is my list of 10 of the Best Herbs for Kitchen Gardens. Some I just can’t do without and others I only use occasionally, but all are very easy to grow and make my food taste delicious. The top of my list of herbs for kitchen gardens is thyme. This basic herb is useful in all types of dishes and is almost a necessity in French cooking. The tiny leaves just strip right off the stems. No dicing is necessary. It is super easy to grow and I manage to keep some of it going even in the winter. It pairs well with many other herbs and has an earthy flavor. Sadly, this herb is an annual, not a perennial, but it grows easily from seeds or cuttings so I am never without it. 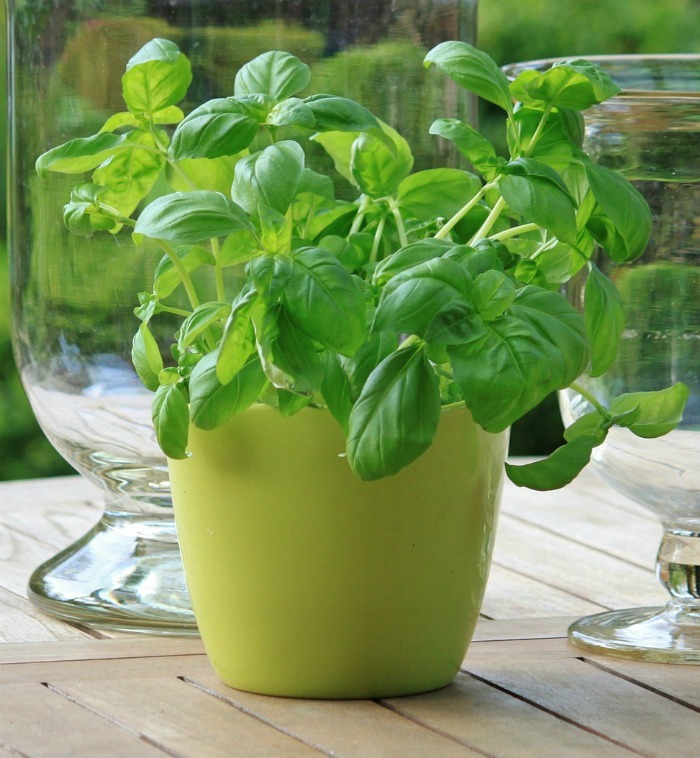 Basil is widely used in Italian dishes and also in many other Mediterranean recipes. And where would pesto be without this versatile herb? Basil comes in many forms and colors. Be sure to cut off the flowers to keep it from getting tart. Very easy to grow indoors in a sunny window. One of my favorite easy side dishes is to slice fresh home grown tomatoes, add some mozzarella cheese, and sprinkle with fresh basil to make a Caprese Salad. My daughter loves it and I always make it when she is home for a visit. This herb is one that keeps going year round for me. I used it three or four times a week. 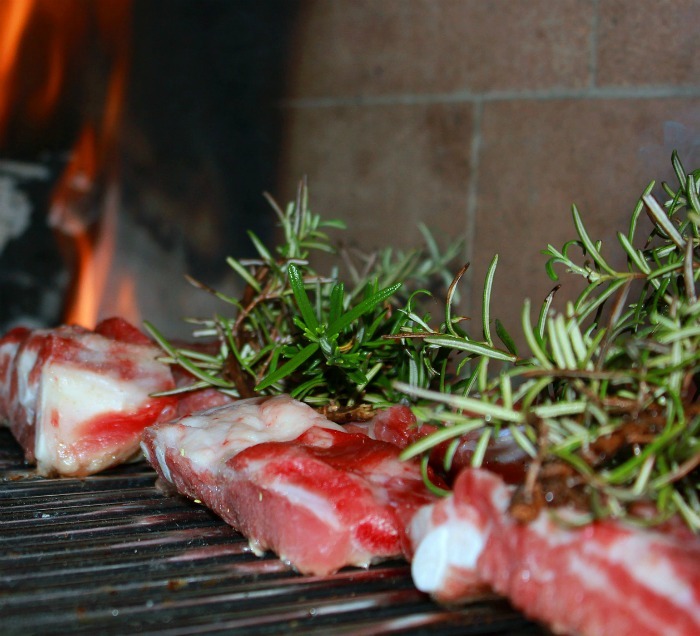 Rosemary has a needle like appearance and a very pungent aroma. It’s widely used in Italian cooking. This herb is native to Asia but is often thought of as a staple for French cooking. 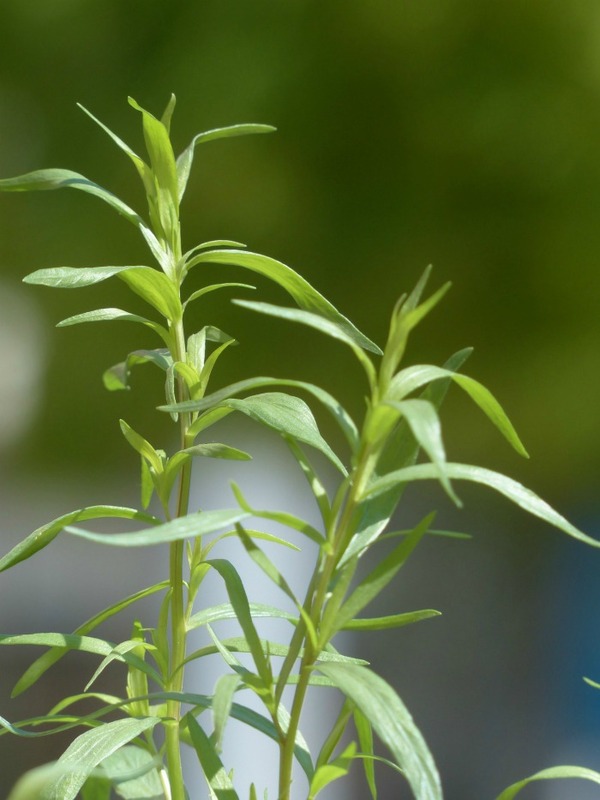 Tarragon has a light licorice flavor that pairs well with many protein choices. I love to use it chopped and sprinkled on ahi tuna for an easy week night meal that tastes anything but ordinary. Fresh tarragon is not one of the herbs normally for sale at the supermarket so growing your own is a must. Thankfully, it is a perennial, so once you have a plant, you will usually get it back again the following year. This perennial herb is a native of both Greece and Italy. Oregano is used widely in Italian sauces and pasta dishes by the Italians, and sprinkled over salads by the Greeks. It is super easy to grow and comes back each year. 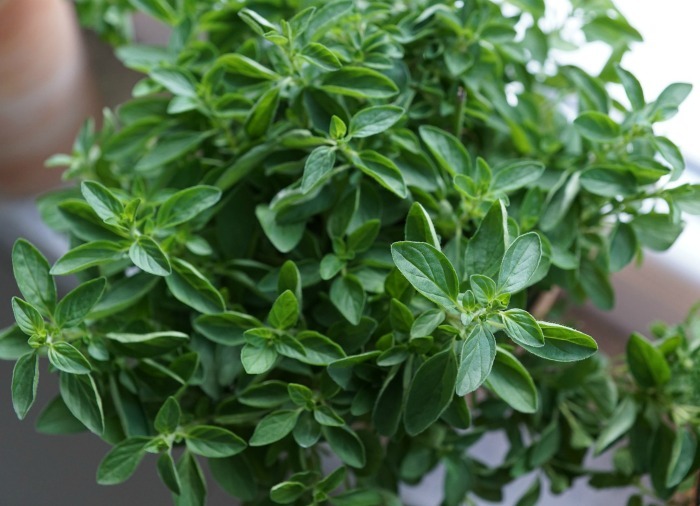 Oregano will fill a huge pot quickly so keep that in mind when you decide what size pot to you. It’s a thirsty perennial that likes regular watering but recovers easily if you forget. 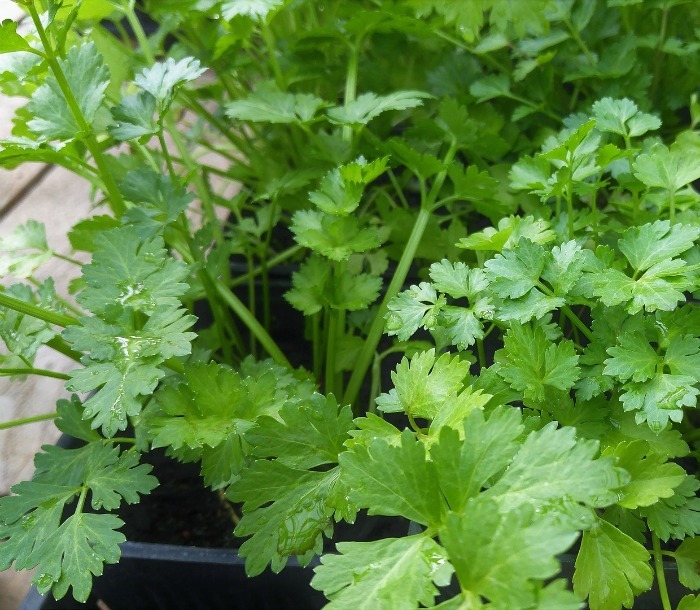 There is nothing quite as versatile as parsley and it is one of the must have herbs for kitchen gardens. There are many varieties of it, with different textures and leaf shapes. Most are biennial plants that last two years, but mine seems to keep chugging on year after year. Every once in a while it gets pretty small and I just start a new plant. Parsley is used as a garnish on many restaurant dishes. 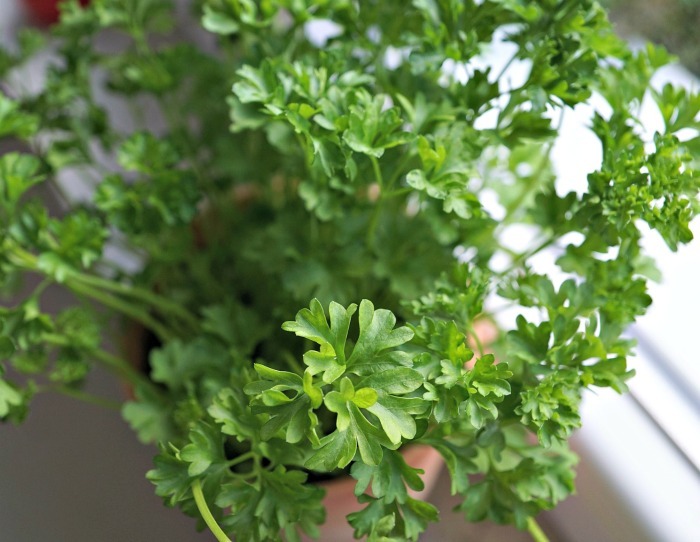 Flat leaf parsley is best for cooking and curly parsley better for garnishes. Whenever your plate looks a bit pale and needs a “little something,” reach for the parsley! No kitchen should be without it. If you love guacamole, be sure that cilantro is a herb growing in your kitchen garden. Cilanto is native to Southern Europe as well as the middle east and is a staple in curries. Mexican dishes also widely use it. It is very aromatic and has an undertone of anise. This is not a herb that I use often, but I always have some on hand for parties, because it makes the best guacamole ever! It is an annual so will have to be started each year unless you keep it indoors. 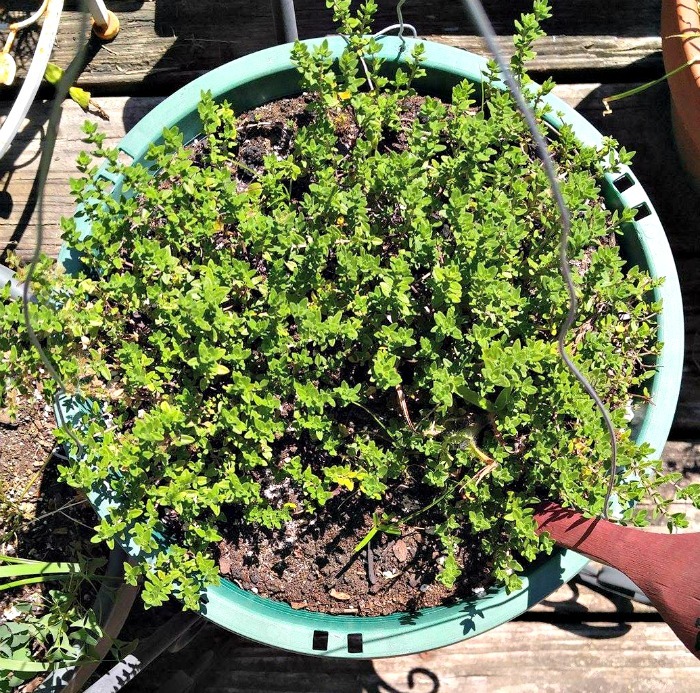 See my tips for growing cilantro here. I would grow this plant JUST to have to sprinkle on baked potatoes with sour cream. They have a slight onion flavor and, as an added bonus, the prettiest flowers. Chives are considered a perennial, but I have trouble getting more than a couple of years out of mine here in NC. Chives are also great in dips. 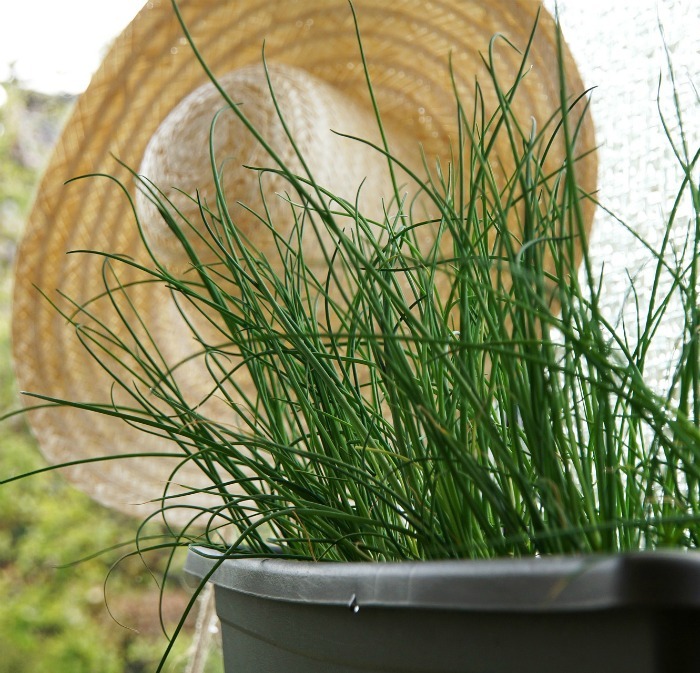 See my tips for growing chives here. 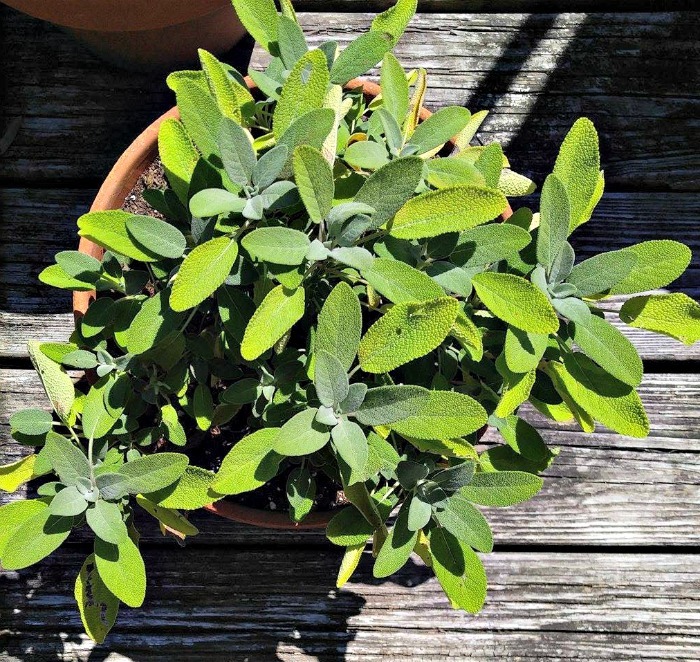 Widely used in Mediterranean dishes, we all know sage because of the holidays and particularly Thanksgiving. Sage not only seasons proteins, it is also wonderful in stuffing and many other side dishes. Sage is a perennial and very hardy. I got mine from some that had grown wild in my front garden bed. It looked like sage when I saw it, and the taste was unmistakable. I transplanted it and have had it ever since and use it a lot with Chicken dishes. But I do love the taste of a fresh sprig on mint on a dessert so I put up with its greedy nature. 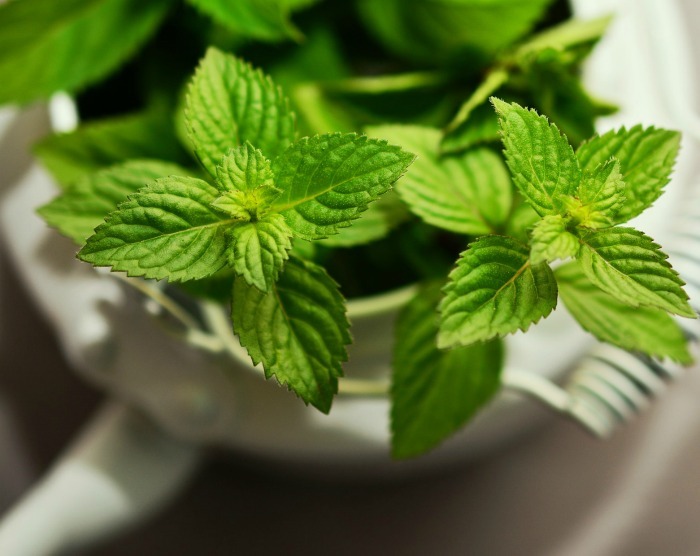 Mint is great in cocktails and other drinks, is wonderful to season yogurt as a side dish for curries and useful in many other ways. Fresh dill is a very popular kitchen herb. It is used to flavor so many foods, from pickles to fish. Dried dill just can’t compete with the flavor of fresh dill in recipes. 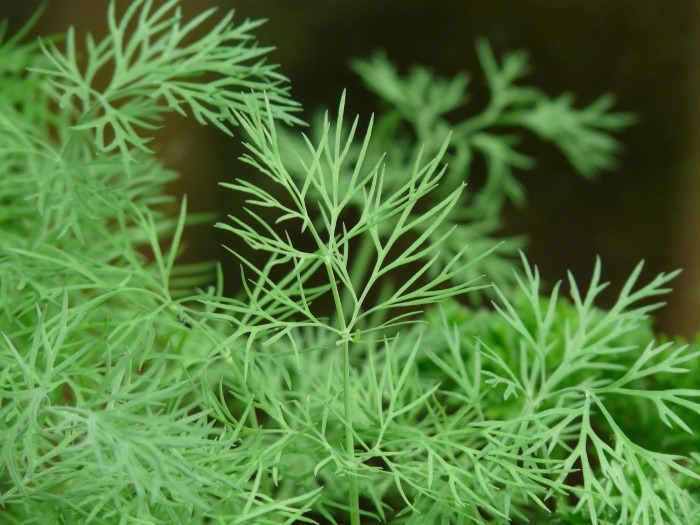 Dill is a biennial but it loves a warm climate so it is often grown as an annual in many areas of the country. It self seeds though, so you might get plants growing the next year even if your zone is colder. Herbs can be either annual, biennial or perennial, just like flowers. For me, most are perennial, but there are always a few that I have to replant each year. It’s worth it, though, for the flavor that herbs give to my recipes. Be sure to watch the video at the top of this page and check out my list of perennial herbs that will grow back each year. 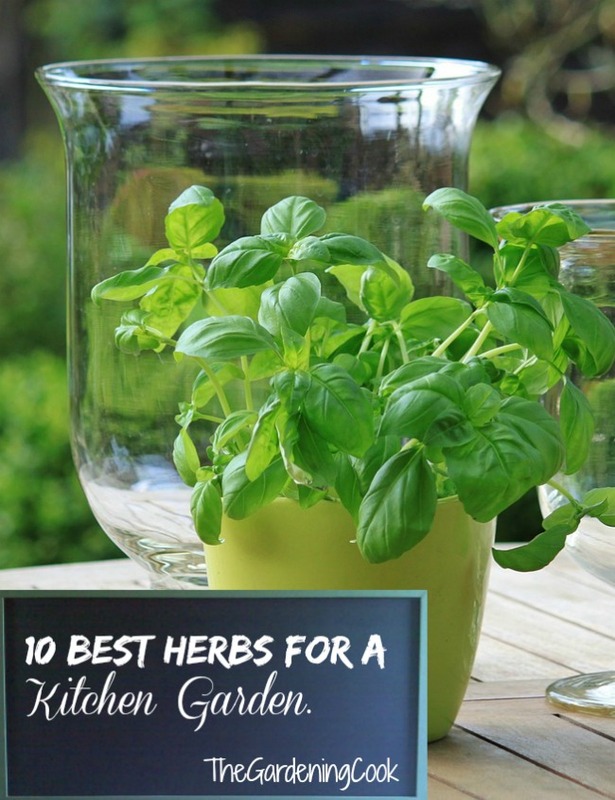 Are there other fresh herbs for kitchen gardens that you just can’t do without? Please leave your thoughts in the comment section below. This very nice list. I love herbs. I have planned a lot of basil and cilantro on my garden. Thanks, the information was very informative.